Ever since I can remember, I have been in love with Amethyst. 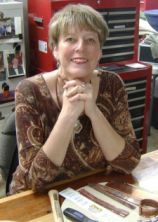 Before I began my Jewelry Designer Career, I purchased Amethyst creations from other artisans. I still wear several of the pieces today. The rich purple in this gem is intoxicating! All February Babies share this love with me, right? after all you are the lucky ones to have amethyst as your birthstone. (I am a little jealous). But the rest of us are allowed to own and savor ‘the purple’ too. Did you know that amethyst is considered to be the Stone of St Valentine? He is said to have worn an amethyst ring engraved with the image of cupid. Legend has it that Bacchus, the Roman god of wine, was so angry with mortals that he vowed to feed the next human he saw to the tigers. A maiden named Amethyst was that human. But before Bacchus could incur his wrath, Diana, the goddess of nature, changed Amethyst into a pillar of quartz to save her. 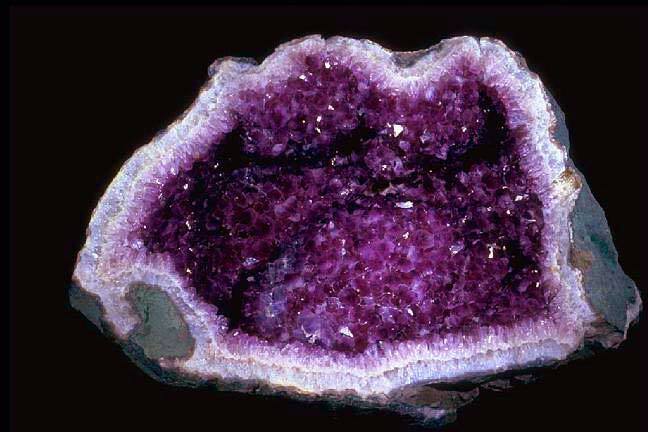 Thus was created the first amethyst gemstone! Guess What?? The Greeks believed that wearing amethyst prevented drunkeness! Hence the greek name amethustos, meaning ‘not drunk’ Dont try this yourself though. I am PRETTY SURE, this is just fable!! Amethyst is said to have strong healing powers. Many wear this gem during meditation as it tends to enhance our spiritual connection. Amethyst has a hardness of 7 on the Mohs Scale. This means it is durable enough to use in almost any setting, including rings. Cleaning is easy. Ultrasonic works as well as plain old soap and water! I have several pieces available too. (OK just a tiny sales pitch). Click here to see. Very pretty earrings. I’m a fan of the deep purple!